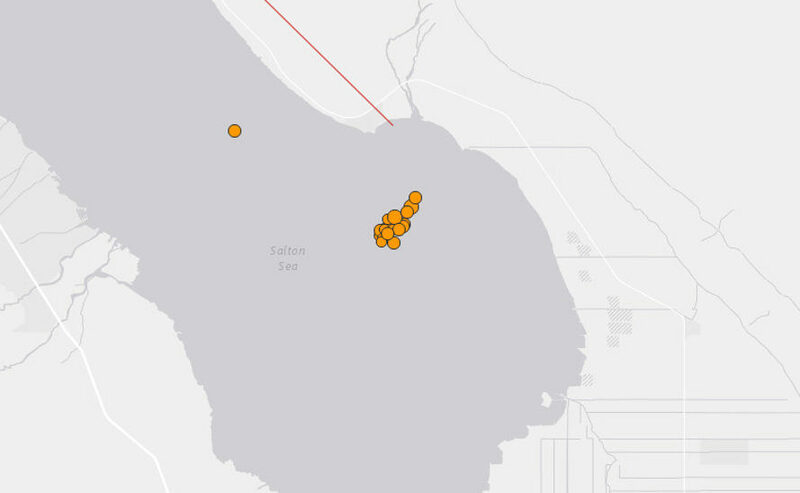 An earthquake swarm of more than 100 tremors shook the region close to the Salton Sea in California on Monday, according to reports from the U.S. Geological Survey. At least three of the quakes registered higher than a 4 on the Richter scale, in a series of earthquakes that began early morning and continued into the evening. The strongest of the earthquakes occurred Monday night. Although earthquake swarms sound like a terrifying phenomenon from a horror film, it is not an uncommon event for this area of California. In 2009, a swarm of some 200 earthquakes shook the region. The primary concern is not the immediate effects of these smaller quakes, but the possibility that swarms like these could agitate larger fault lines. This most recent earthquake swarm in California centered mostly on Bombay Bay, and no injuries or major damage have been reported. The strongest of the quakes was a magnitude 4.3, with a second coming in at 4.2; the vast majority registered less than 3. 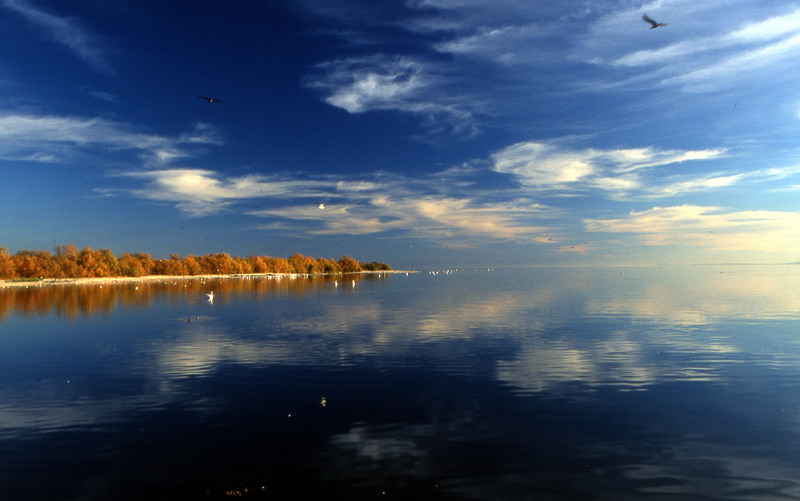 The Salton Sea area of California had an earthquake swarm of over 100 tremors Monday night.